Meal delivery services are ideal for anyone who enjoys home-cooked, healthy meals but doesn’t have enough time to find and purchase quality groceries. With so many meal delivery companies on the market, choosing just one is definitely not an easy task. If you’re interested in Plated and Hello Fresh but aren’t sure which one is better for you, check out this detailed Plated vs. HelloFresh comparison, which examines the 6 main features of every meal delivery service. With both Plated and HelloFresh, you get to choose different meal options for you and your family according to your dietary needs, budget, and other important factors. If you go with Plated, you don’t have to opt for a specific meal plan. Instead of meal plans, they offer a great variety of new recipes every week, including vegetarian options and desserts. You can choose to get amazing recipes for 2, 3 or 4 days of the week. You can order 2 servings for a romantic dinner, 3 for a small gathering or 4 for a family dinner. HelloFresh provides 3 meal plans for your dietary needs: Classic, Vegetarian, and Family. The Classic plan and the Veggie plan offer 2 or 4 servings. Every meal from the Family plan comes in 4 servings. Both companies provide new creative recipes every week, meaning there are dishes for everyone’s taste. 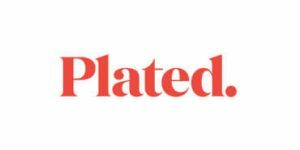 Plated offers 12 innovative main course recipes, plus 8 encore recipes and 2 delicious desserts weekly. You can choose between hearty beef, mouthwatering salmon, or delicious salad, as Plated always has a recipe for you sensitive palate. Hello Fresh introduces 29 new dinner recipes every week, divided into 3 menus. The Classic menu features 17 omnivore recipes, the Veggie menu includes 3 vegetarian recipes, and the Family menu features 9 kid-friendly dinner ideas per week. Plated and Hello Fresh both provide you with the best ingredients available for healthy, well-balanced meals. Plated provides high-quality ingredients for your home-cooked dinners. You can select any recipe from the menu according to your dietary preferences. Every recipe contains detailed information on the nutritional value of the meal, which can help you choose dishes suited for your diet. HelloFresh cooperates with reliable food producers in order to bring the best ingredients to your table. Every meal is carefully planned and all the recipes include the number of calories of the chosen meal. Both companies pay close attention to the preparation of the ingredients for your meals. Everything you receive from Plated is carefully measured to satisfy the belly of a grown-up or 2 kids. HelloFresh prepares recipes for the Family plan in order to provide enough food for 2 adults and 2 children while each serving from the Classic or Vegetarian plan is tailored for an adult. You don’t have to worry about flexibility with either of these two companies. They both allow you to skip a delivery or cancel your subscription whenever suits you. You just need to notify them before your next order is processed. Compared to Plated, the prices of Hello Fresh meals are slightly lower. The price per serving ranges from $6.99 to $9.99 and shipping costs range from $6.99 to $7.99. On the other hand, Plated is a bit more expensive than Hello Fresh. If you are cooking for 2 people, the price is $11.95 per serving while meals with 3 or 4 servings cost $9.95 per serving. Shipping is free on orders over $60.